The Department of Applied Design is home to more than 350 undergraduate students in three program areas, Apparel Design and Merchandising, Industrial Design, and Interior Design. In addition, we offer a minor in Apparel Design and Merchandising. Students in all three programs are required to complete a mandatory supervised internship in their field of study. The general purpose of an internship is to give you practical experience applying the theory and content of course work in your field. Internships are typically considered a capstone experience, taken toward the latter half of your academic career. We offer a large number of student scholarships, both need and merit‐based. Every program area has an associated student club all of which are affiliated with chapters of national organizations. In addition, there are a host of sponsored actvities, special interest events, and competitions in which students can get involved in and a wide range of service learning projects. 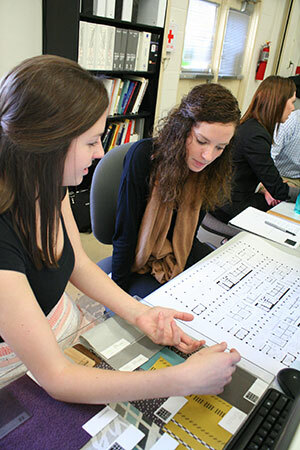 We invite you to explore the program area pages on our web site to learn more about the many opportunities available to students in the Department of Applied Design. Students from all three programs have participated and won prestigious national and international competitions. Additionally, each program hosts a final event in the local community for the senior class to share and exhibit their greatest work. These shows are always open to the public and we would encourage prospective students and their families to attend. They occur at the end of the spring semester, usually at the beginning of May.